"I am so sorry for your. My prayers are with you. " "WE ARE SO SORRY FOR YOUR LOSS OF YOUR DAD!!! I WILL MISS HIS SMILE! HE WAS A WONDERFUL MAN!" "We love you and will always remember you, you will never be forgotten. " My husband and I wish to extend our deepest sympathies to the family of Louie Maresca. Louie would park his car next to my crossing guard station at Pagels every school day as he brought his grandson to school. We first met Louie when he dated my friend's daughter years ago. Whenever Louie saw me in Stop & Shop or around town he would say hi and we'd talk a while. I followed his health battles,tried to give him hope and support during all his treatments. Louie knew that I knew the hardships and pain of this sickness from personal experiences with my family. He always had a smile and would greet each day when I saw him with a positive attitude. He loved taking his grandson to school. I would say to him "did you give your grandpa some gas today" ? Meaning hugs and kisses to last the whole day. Grandpa Lou would give him some money to buy an extra treat at lunch.I shall miss my friend Louie when school starts later this month. He was a ray of positive sunshine for me to start my day. He is at peace now, no pain and treatments. He is probably "watching TV with God in heaven". Louie will be remembered in our prayers and at church services. My deepest condolences to the maresca family. Words are never enough to take the pain and sadness at this point. All the thoughts and comfort and much love. I am so sorry for your. My prayers are with you. Lou we love you so much and we will never forget you. 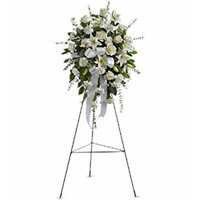 WE ARE SO SORRY FOR YOUR LOSS OF YOUR DAD!!! I WILL MISS HIS SMILE! HE WAS A WONDERFUL MAN! 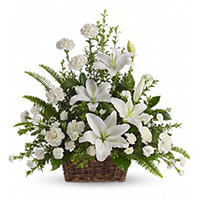 DEAR LAURA, WE AT FAMILY PRACTICE ARE SO SORRY FOR THE LOSS OF YOUR FATHER. WE WILL MISS HIM STOPPING BY THE OFFICE! OUR CONDOLENCES TO YOU AND YOUR FAMILY! We love you and will always remember you, you will never be forgotten.